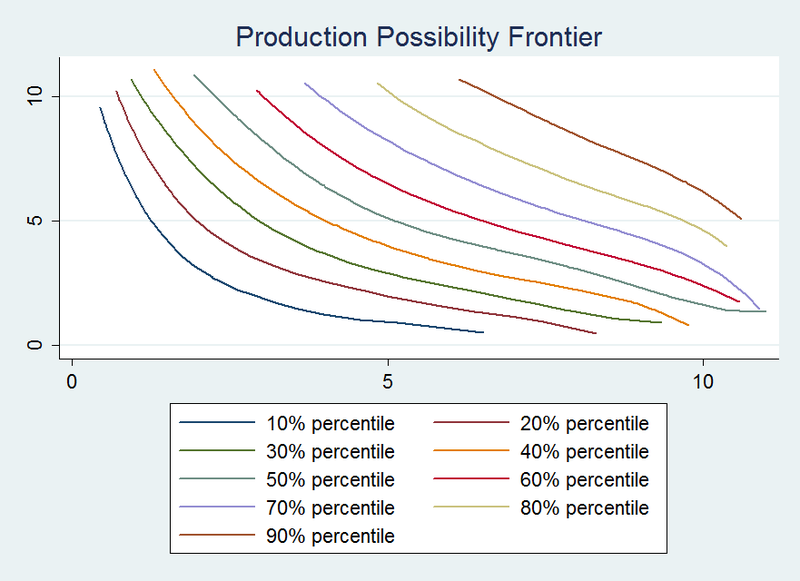 * Stochastic Frontier Efficiency Analysis"
* market concentration leads to greater inefficiency. * Unfortunately our data is wide now when we want to use the xtfrontier command. label var min_labor_fit_`i' "`=`i'*2'% percentile"
* A smoother graph is found by using the fitted values from the previous regression. * we are interested in, "How does market share and concentration predict performance?" 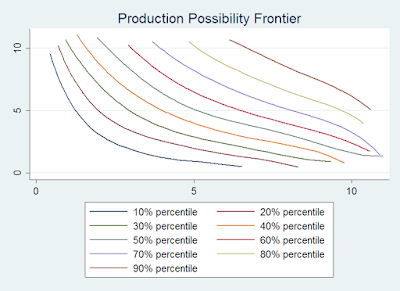 * The OLS regression is only trying to predict output which ends up with a weaker estimate. * I have not got this to work entirely the way I would like it to. I might return to this in the future. informative post! Could you please continue?